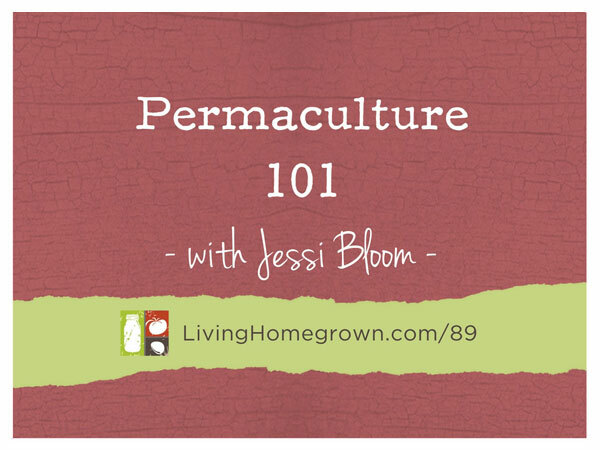 Have you heard the term “permaculture” but weren’t sure what the heck it was? Or do you already know a little bit about permaculture, but you couldn’t figure out how to apply it to your garden? A few years ago, I was in the same boat. When I first heard about permaculture, I was a little confused and I couldn’t figure out how it was different from organic gardening. When people tried to explain it to me…they used a whole different vocabulary. And they talked a lot about “systems” which I wasn’t sure would fit into my little backyard space. Eventually, I figured it out. And my good friend Jessi Bloom was a huge help in my understanding! Jessi wrote one of the top books on this subject. And you might recognize her name because I had her on the podcast before to talk about backyard chickens. 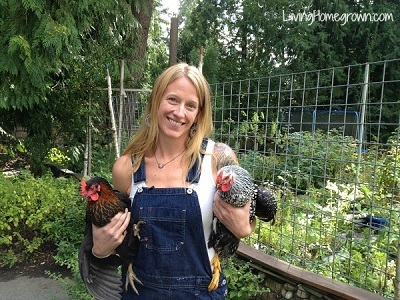 Today, she shares what permaculture is and how you can use it in your backyard space. But more importantly…Jessi shares WHY you would want to. You’re probably already doing many of the practices without even knowing it. Jessi can show you how to bump that to the next level. And even if you never want to have a full permaculture property, there are a lot of benefits (to you and the earth) if you incorporate just a few aspects into your backyard space. Jessi is an ecological landscape designer, professional horticulturist, certified arborist and the lead designer and the owner of the company Northwest Bloom Ecological Services. She creates innovative, sustainable landscape design and construction for people near Seattle, Washington. In addition to designing and consulting on these topics, Jessi also spends a lot of time teaching and speaking nationwide. 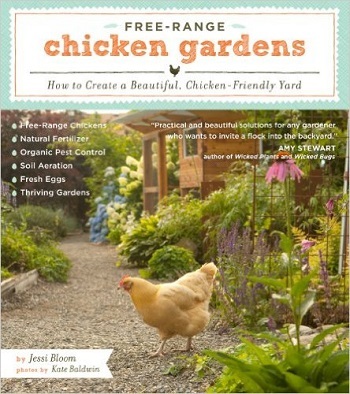 She has written three books, including Free Range Chicken Gardens which was the topic of Episode 32. She also wrote Practical Permaculture which is what we’re going to talk about today. She has another book in the works which will be coming out in about a year. Theresa, i really love this concept! I really don’t like throwing things away to fill holes in the earth (that we have created many times). I saw the Growing a Greener World permaculture show and got some good ideas. I love the grape trellis over the chicken coop area that provides shade for them and attracts Japaneses Beetles which can be shaken off as food for them. Plus you get grapes, grape leaves for tannin for pickles, and a lovely structure. That part about losing a resource like water made me think of an earlier conversation we had about rain barrels. With the recent rain you have had you could have captured hundreds of gallons of water for your garden and in an emergency could be used as drinking water when boiled. Another great podcast, Keep up the great work. Thanks Craig – Glad you liked it! I just started researching this subject. We are starting from scratch with a new house and landscape. The more I learn about permaculture the more I want to incorporate it in all we do at our new home! Hi! I first heard about this subject from the episode on Growing A Greener World. I took out Gala’s Garden from the library but it was just a little too advanced for me. 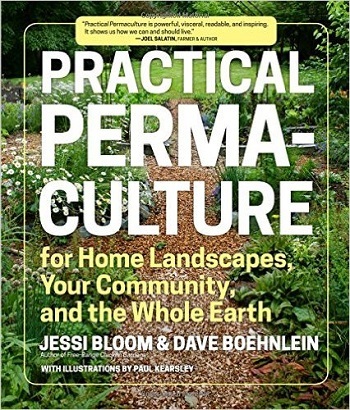 I definitely will be buying this book because my husband and I are very interested in this permaculture.